Today I’m featuring some Obama Memes, so brace yourself. In case you have been living under a rock this week: Barack H. Obama was re-elected as the president of the USA on Monday. It came as no surprise to me though, his opponent (Mitt Romney) wasn’t a really strong one. To be honest I really couldn’t give a rats arse about politics in the USA, but I do try to keep informed (yes – like a good little soldier). And I don’t trust a Republicans or Democrats. Like South African politics, US politics is somewhat of a sham. If you ask me, it doesn’t really matter if you voted for Obama or Romney – it’s not like they’re going to reverse the Patriot Act or any other legislation that takes away the rights of US citizens. Obama promised to bring the troops home from Iraq and Afghanistan, and the last time I checked they’re still active in Afghanistan. Like I told you, it’s a sham. Feel free to comment on this post and let me know what you think of these. Feedback is appreciated and welcome here. If you’ve enjoyed this post, remember to share it with your friends on Facebook and Twitter. Remember: Sharing is caring. 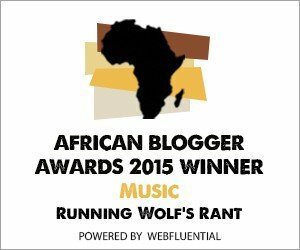 Watch this space for regular updates in the Humor and Opinion category on Running Wolf’s Rant.